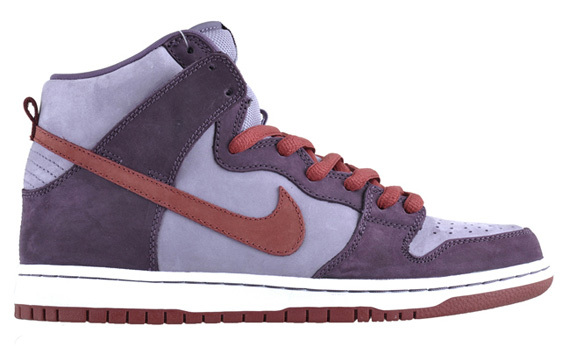 Finally set to release next month is the much-anticipated "Plum" Nike SB Dunk High. 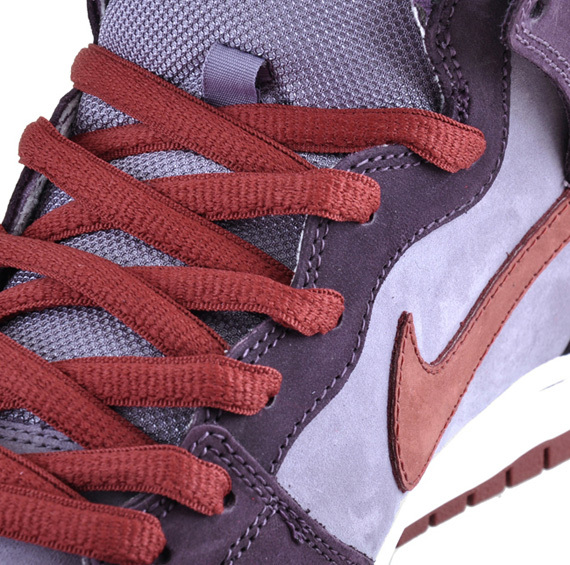 Finally set to release next month is the much-anticipated "Plum" Nike SB Dunk High. And with their release date only a couple of weeks away, retailers are already providing us with a detailed look at these bad boys. 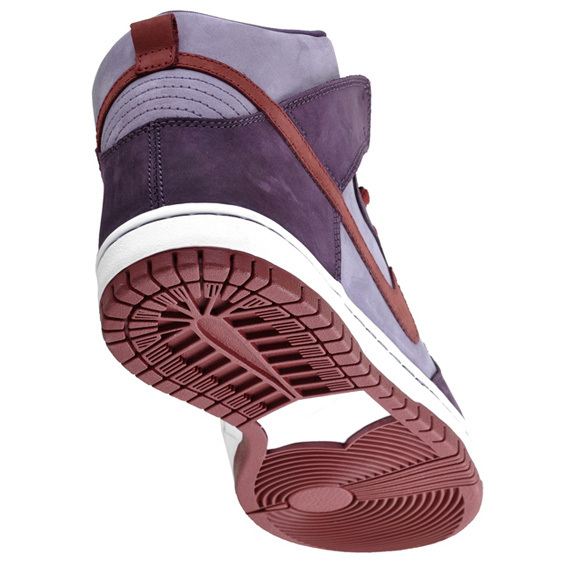 Daybreak suede handles most of the base on these, while the popular "Plum" shade takes care of the toe, eyelets, liner and heel panel. Barn red completes the look, doing it's thing on the Swoosh, laces and outsole. 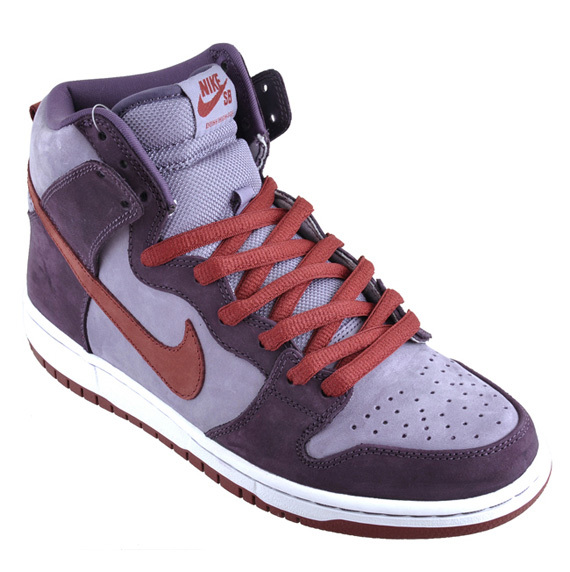 Enjoy the latest set of detailed images below and look for the "Plum" SB Dunk High to hit skateshops sometime next month.